The Waitomo Caves, King Country, New Zealand. New incredible pictures have emerged, as photographer Joseph Michael has visited the unique cave. The 2 million year old cave system under a small village hides a rare species of Arachnocampa luminosa worms, that create a glowing effect. Photographer has used long exposure to capture the overwhelming site in the limestone caves. 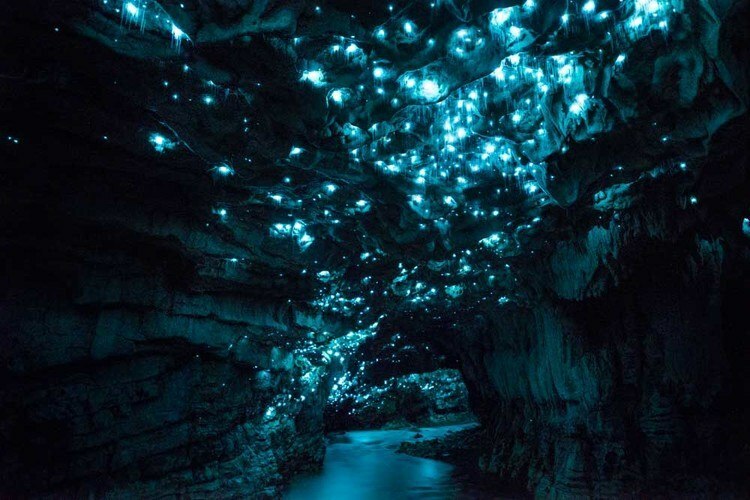 The blue bioluminescence makes these spaces look unearthly and magical indeed. Australia is another place where these radiant worms are found – a true phenomenon, that makes nature the best artist around! Anytime: the caves are open 365 days a year. The caves are 2 hours from Auckland, 1 hour from Hamilton and 2 hours from Rotorua. Get there by car or bus.